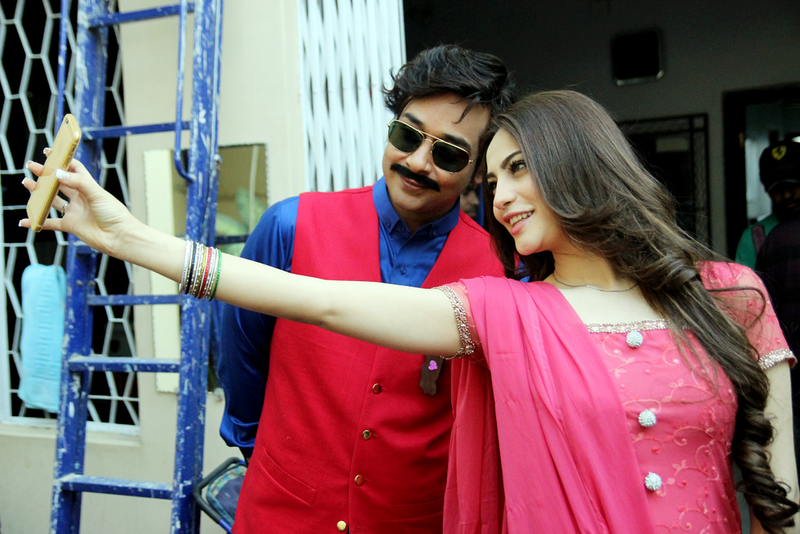 The Bashar Momin actor Faysal Quraishi is not only a veteran actor but one of the few all round entertainers in the country. With scores of successful projects under his belt. Faysal has made his mark in all possible genres of shows on the television screen in addition to his initial flirtation with films. As his 5 year run on Muskurati Mornings came to an end, his fans were eager to see how they would be able to connect with their favourite actor next. As expected it wasn’t long before Faysal announced his next big project, a game show on HUM TV starting February. While the details of the show will be on his social media pages soon, we got the chance for a quick Q&A with this entertainment powerhouse! What was your journey to becoming a professional actor? I was born into a family of actors which is why I feel acting is in my blood. I always wanted to be an actor and nothing else. My journey started as a child actor for PTV plays such as Andhera Ujala and Emergency Ward and then eventually lead roles in movies and TV shows. When you look back, what was the turning point in your career? The turning point was undoubtedly when Javed Fazil Saab offered me a role for a TV serial. Before that I was working in movies which were not doing that great at that point. Javed Saab told me “Mark my words, the small screen is going to be huge in the coming years” which is precisely what happened. You’ve done shows, live show, dramas, interviews and more… what inspires you the most? For me, it is hard to choose between live shows and acting. Acting of course is my ultimate passion but live shows give me a chance to interact with so many different people from all walks of life who inspire me a lot. When acting, I am usually interacting with people from the same industry as me, but when hosting I get to see different sides of life. Fame comes with pros and cons. What is the best and worst for you personally? The pro is of course the unbelievable amount of love that you receive from people. I meet fans when I am traveling to almost any part of the world….UAE, USA, UK, even India now. As for the con, it gets a little too much when people start invading your privacy and assume it is their right to do so. For instance, a few days ago I was at a shopping mall with a friend. I was in the middle of a conversation with him when a woman with her little son comes up, grabs me and starts taking pictures without even asking me! That irritated me a lot. I mean, I may be a celebrity for them but I am also a human at the end of the day. You’ve always chosen your projects well, what is your process? The only thing that matters to me when choosing a project is the script. Everything else is secondary. I might be offered the most glamorous project with some great co-stars but if I don’t like the script, I won’t take it up. Likewise, I might be offered a brilliant script but not a huge fee, I will still go for it. How did this new game show come about, what shall we expect from it? As you know, my morning show Muskurati Morning came to an end last year. I had been hosting it for nearly 5 years. I was actually looking forward to a few days of unwinding but immediately I was offered another show by HUM TV *laughs*. Of course I am extremely thankful for this opportunity and very excited. There are some crazy surprises in store for the audiences which I cannot reveal at this point unfortunately.